East Jakarta Mayor, Muhammad Anwar is holding an event called Urban and Rural Land and Building Tax (PBB-P2) Week, Tuesday (9/4).
" Our target is Rp 1.064 trillion. But, until now, we only managed to touch Rp 420.9 billion or around 42 percent"
It is aimed at boosting tax realization before maturing on September 14. "Our target is Rp 1.064 trillion. But, until now, we only managed to touch Rp 420.9 billion or around 42 percent," he stated. 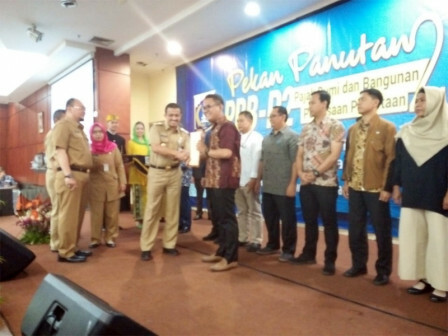 East Jakarta Local Retribution and Tax Sub-Section Acting Head, Eros Rostiaty added that it is held to boost the tax realization in his region. "This time its payment has been facilitated whereby it can be done through 14 banks, post offices and franchises," he stated.